Welcome to the first edition of Manny’s Musings for the 2014-15 concert season! We are thrilled to share the thoughts of Manny Laureano, the Bloomington Symphony’s Music Director and Conductor, with our audience, in advance of our concert “Three Singing Masters” on Sunday, October 5. We will post future Musings in the days leading up to the concert. Please be sure to visit again soon and learn more about the program! 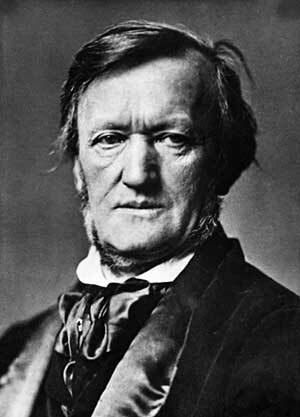 Those of you who are regular attendees of BSO concerts will recall that Wagner’s Overture to Rienzi was performed as part of our programming last season. It was an early work about an Italian subject. This season, the Overture to a mammoth opera, Die Meistersinger von Nürnberg, propels us forward more than two score and four years to see a middle-aged Richard Wagner who has developed his sense of chromaticism on the heels of his opera, Tristan and Isolde. He chooses for this opera a German subject that is steeped in the reality of an annual singing contest that was held in Nürnberg. 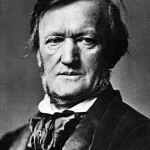 Interestingly, Wagner gives the chromaticism that mark the success and curiosity of Tristan a bit of a rest and settles into a style that is more diatonic and “listener friendly.” This was to be the opera that preceded his most illustrious work, Der Ring des Nibelungen, where his creative powers become almost a plaything for him. Die Meistersinger has, at its core, the requisite hero who wishes to win the hand of a local maiden, not through swordplay or deviousness, but through song. The overture is a proper overture, in the sense that there are many themes that are represented in the opera, unlike Mozart’s Marriage of Figaro or even the miniature overture that begins the Nutcracker ballet. Virtually every note heard in the overture is reflected in the course of the opera either as a full-fledged theme or a more brief leit motiv, from the stately march of the masters, to the prize song offered by the hero, Walther, to a fugue based on the light-footed dances of the apprentices. The constant and smooth shifting of character in this overture and its ability to achieve transparency in the midst of presenting themes on top of themes is a testament to Wagner’s skills of orchestration.